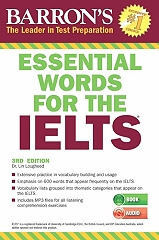 This book offers students extensive practice in vocabulary building and correct English usage, with emphasis on 600 English words that relate to specific categories that appear frequently on IELTS exams. 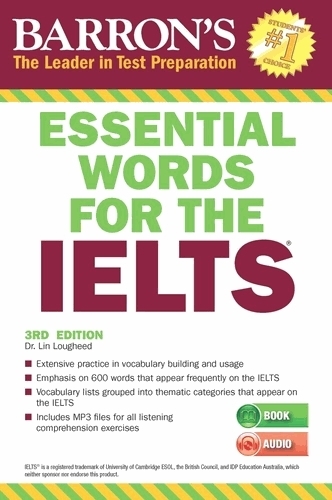 Author Lin Lougheed presents exercises that teach ESL students how to decipher the meanings of countless new words by reading or hearing them in relation to the context in which they are used. Youll find helpful strategies for learning and retaining word meanings, tips on analyzing unfamiliar compound words to determine their meanings, and vocabulary expanding exercises with answers in every chapter. Also included are recommendations for web-based self-study activities. The included downloadable MP3 Files present all of the listening comprehension exercises.